A great way to explore our local Area of Outstanding Natural Beauty is on a bicycle. I hesitate to write this as, fine as I am with cycling down a hill, I’m not keen on the going back up. I love the beauty of West Dorset’s rolling hills, just not when I am puffing up one of them on a bike. This isn’t helped by the sight of my husband and daughter disappearing into the distance ahead. But, if you are not such a wuss as me pedalling up slopes, cycling is a wonderful way to take in the stunning scenery. Explore the varied landscapes in West Dorset, and do it all at your own pace. For inspiration have a look here at West Dorset Pedal. It’s got maps for five rides ranging from 11-17 miles. It also suggests pit stops for food and drink. Quite right. After all that pedalling you surely deserve to refuel in a village tea room or country pub. A good route if you are staying at our cottage is the first, exploring Bridport and Netherbury. It has an add-on to West Bay itself. Two other routes take in the Frome Valley and the beautiful villages and coast round Abbotsbury (the route ‘Land of Bone and Stone’). The other two explore West Dorset’s finest hill forts. You might want to print off a route or two before your holiday. From Bridport there is also easy access to the National Cycle Network Route No. 2 (a 30 mile route from Dorchester to Lyme Regis), also with plenty of lanes and villages to explore. If you haven’t got the space or the inclination to bring your own bikes you can hire them nearby at Bridport Cycles at Symondsbury. There’s a cycle trail running from the shop in an 5 mile loop on private land. If you want to enjoy the beautiful countryside and not worry about making it up the next hill you can go on a guided electric bike tour. Now that sounds more my thing. We have a new door on our garage which actually locks. This means that if guests want to bring bikes on holiday we can arrange for them to have a key to the garage to lock them away securely. Happy Cycling! If you want more information on staying in our cottage please take a here or head to our Enquire and Book page for availability, the rates and how to book. Swains Row sometimes has prickly visitors, and I’m not talking about any of our cottage guests! If you go outside late in the evening in the warmer months you may see a hedgehog snuffling around in the front gardens. Number 4 is particularly keen on these spiky neighbours, as you can see above from this plaque on the front of their cottage. Sadly the hedgehog population is in decline in Great Britain. We’ve lost a third of all our hedgehogs in the last ten years. Pesticide use, habitat loss and roads are all thought to be taking their toll on their numbers. To encourage hedgehogs into your garden you need to make sure they have a safe access in and out. Leave an area to go a bit wild with shrubs, long grass and log piles or compost heaps. You can also pop out a dish of cat or dog food and water each evening. At the end of the front garden next door you can see a big a pile of apple tree twigs left there to encourage our spiky neighbours. Let’s hope they make a good foraging and nesting site for a hedgehog or two. Perhaps it’s home to a snoozing hedgehog at the moment. A new arrival or two next summer would be lovely. I’ve just read that baby hedgehogs are called hoglets, a term introduced in the 1990s. Cute eh. If you love books and are interested in all things literary then the Bridport Literary Festival is the festival for you. This year it runs from the 4th to 11th November. An eclectic mix of writers of both fiction and non-fiction are coming to West Dorset to talk about their writing. It attracts audiences of all tastes and all ages from all over the county as well as visitors from much further afield. Most of its venues are in Bridport with a couple in Sladers Yard, just around the corner from our cottage. Do you find that a familiarity with the locations in a book helps you picture the story more vividly? Do you like to visit the places mentioned in books you’ve enjoyed? The Literary Festival has authors and subjects from near and far but it has made me wonder about the authors who have been inspired by, and the books set within, the landscape of West Dorset. Here are some suggestions of books to read, and story locations to explore, during a holiday in the area. With the rolling hills of the Dorset countryside often called Hardy Country, Thomas Hardy (1840 – 1928) probably requires no introduction. He is one of the greatest Victorian novelists and Dorset’s most famed author and poet. Here’s a post which gives a brief account of his life and novels. 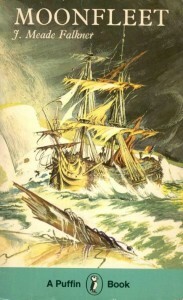 It has useful links if you want to explore the towns and villages he knew so well and used as settings and inspiration for the “Wessex” of his tragic stories. 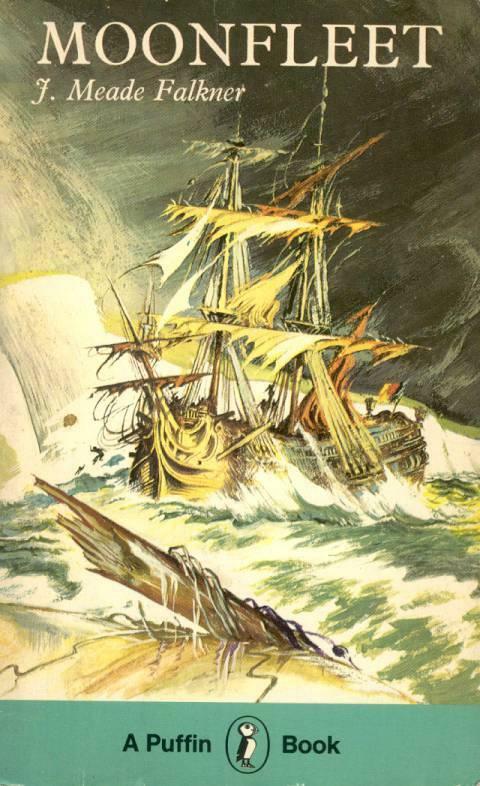 A friend of Hardy, J. Meade Falkner (1858–1932) wrote Moonfleet, the classic children’s adventure tale of shipwrecks and smuggling, first published in 1898. He grew up in Dorset and based much of the story there, set a hundred years before his birth. The name Moonfleet is a merging of the old family name Mohune and the village of Fleet, by Chesil Beach. The headland in the book, called The Snout, is Portland Bill. Arthur Conan Doyle‘s famous detective novel The Hound Of The Baskervilles (1901), featuring the detective Sherlock Holmes, takes place largely on Dartmoor in Devon. However it may have had several local sources of inspiration for the ghostly, murderous hound. Conan Doyle was staying at Parnham House near Beaminster when he first heard a mysterious hound baying in the night. Local folklore may have influenced the concept. There’s tales of a spooky “Black Dog of Uplyme”. Portlanders tell of a spectral black dog, “The Row Dog”, with large saucer shaped eyes prowling the island during the hours of darkness. In Far From The Madding Crowd Thomas Hardy drew on local belief that the black hound is a protector of vulnerable young women. Conan Doyle used this idea too. 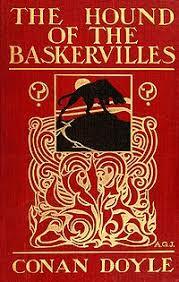 His ghostly hound appears first as a protector of a persecuted woman, forming the basis of the Baskerville curse. 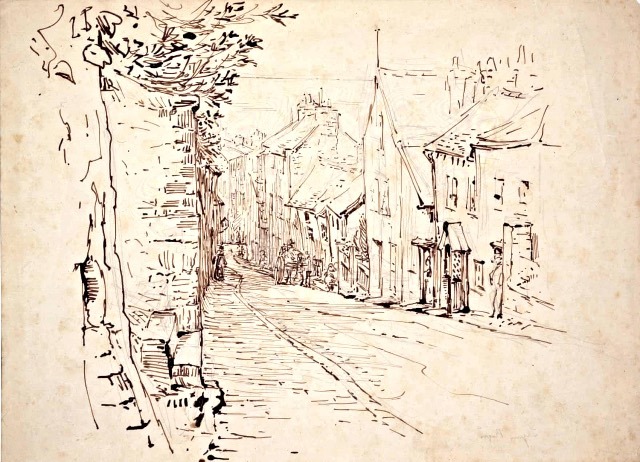 For a smaller member of your family – West Dorset featured in the drawings of Beatrix Potter‘s final book, The Tale of Little Pig Robinson (1930). In 1904 she spent a family holiday in Lyme Regis, staying at the Mariners Hotel in Silver Street. 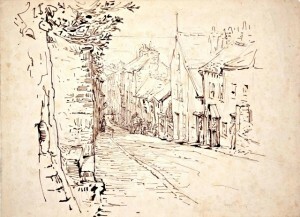 During her time there Beatrix did a sketch in sepia ink of a steep street leading down to the sea. Years later it became the background drawing for the tale. She combined several Devon seaside towns and Lyme to create the settings of the story. John Cowper Powys (1872 – 1963) was a British philosopher, writer, lecturer, literary critic and poet. Weymouth Sands (1934) was the third of his “Wessex” novels, which include Wolf Solent (1929), A Glastonbury Romance (1932), and Maiden Castle (1936). 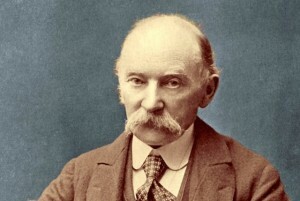 Powys was an admirer of Thomas Hardy and these novels are set in Somerset and Dorset, part of Hardy’s mythical Wessex. As with Hardy’s novels, the landscape plays a major role in his works. This modern classic draws on his vivid childhood memories of the seaside town of Weymouth. Critics consider Powys one of the greatest novelists of the 20th century. An article in the Guardian describes his work as a “form of literary marmite”; he is not a writer everyone can stomach but admirers are always hungry for more. Consider yourself warned, his books do not sound like typical holiday reads. 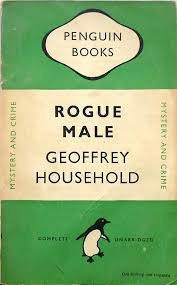 West Dorset is the central setting and a backdrop for a relentless manhunt by German agents operating on British soil in London and Dorset in the classic thriller novel Rogue Male written by Geoffrey Household in 1939. The book was reissued in 2014 to mark it’s 75th anniversary. The geography of West Dorset described in the book can be followed on a real map, including a local holloway. The author John Fowles (1926 – 2005) moved to Lyme Regis in 1968 and lived there for the rest of his life. His 18th century villa, Belmont, is now a holiday let. Fowles set his most famous novel, The French Lieutenant’s Woman (1969), in and around the town. 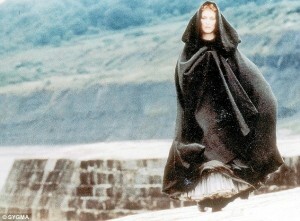 The film of the book made Lyme’s Cobb harbour famous too. Remember Meryl Streep (or her stunt man!) standing hooded and windswept, staring out to sea? The writer said that his 1963 book The Collector was based on “a bizarre real-life incident that happened in the 1950s” in Dorset. Fowles was curator of the Lyme Regis Museum for ten years and did much to ensure its survival. The Inspector Morse series by Colin Dexter (1930-2017) includes one story, The Way Through The Woods (1992), partially set locally. 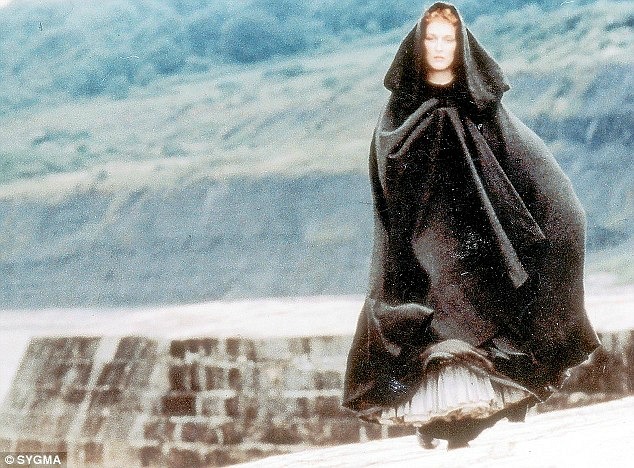 Morse has gone on holiday to Lyme due to the area’s literary associations saying”it’s where some of the scenes in Persuasion are set.” “And The French Lieutenant’s Woman”. 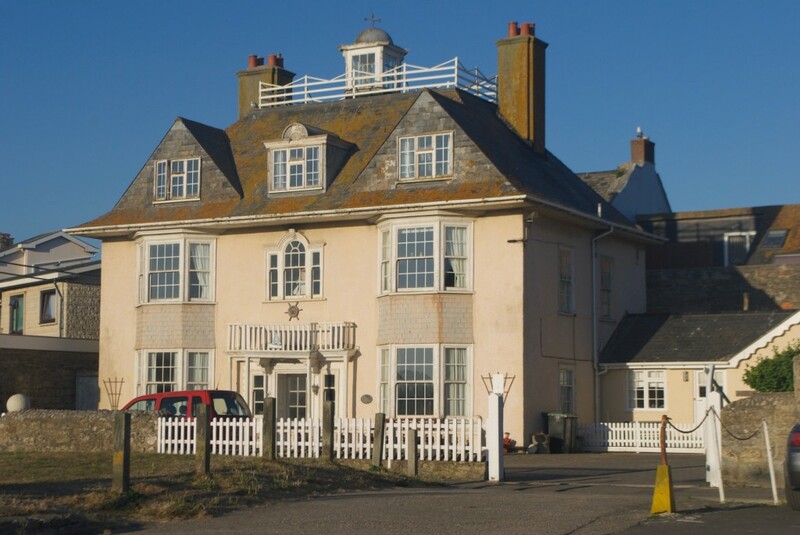 He visits Dorchester’s Kings Arms Hotel (a Hardy site) and the County Museum there, Moreton Cemetery (grave of TE Lawrence) and stays in Lyme’s seafront Bay Hotel. While in Lyme, Morse meets a woman who calls herself Louisa Hardinge after Hardy’s own lost love. Colin Dexter said Lyme Regis was his “favourite place on Earth”. Ian McEwan‘s tells the tale of a disastrous honeymoon, set in the early 1960s, in his novel On Chesil Beach. It was nominated for the Booker Prize award in 2007. Chesil Beach is the 18-mile shingle spit, part of the larger Jurassic coast. In an interview McEwan mentioned that he took a couple of stones from the beach when researching the novel. He was later criticised for removing items from a site of special scientific interest! 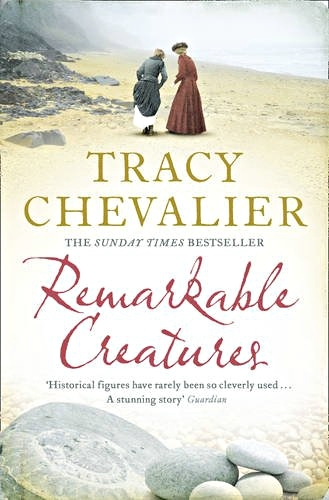 The life of Lyme Regis’s Mary Anning, the greatest fossil hunter ever, is captured in the novel Remarkable Creatures (2014) by author Tracey Chevalier. Read this post to learn more. Can you recommend any other books inspired by the beautiful landscape and coast in this area? If so I’d love to hear about them. Please leave a reply below. Do you want to attend some of the events at the Bridport Literary Festival or explore some of the most beautiful literary heritage sights in England? If you do and you haven’t yet booked accommodation, we’d love to welcome you to West Bay Cottage. Take a look inside the cottage, or head to our Book With Us page for availability, the rates and how to book. The West Bay Discovery Centre was officially opened last week. It’s in the old Methodist chapel, situated on the left as you walk towards the Watch House cafe on East beach. The photo above shows it before all the exciting plans came to fruition. The aim of the centre is to bring West Bay and the Jurassic Coast to life with stories that tell of it’s history, hidden heritage and natural environment. 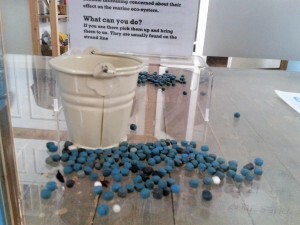 Here’s a link to a local lady’s blog post about all the hard work required to get to the opening. Earlier this year I spent a while reading about West Bay and wrote a brief (ish) post myself about the history so I’m really looking forward to visiting the centre next time I’m there. I hope that the information in my post bears a resemblance to that in the centre! I’m sure I’ll find out a lot of new things too. 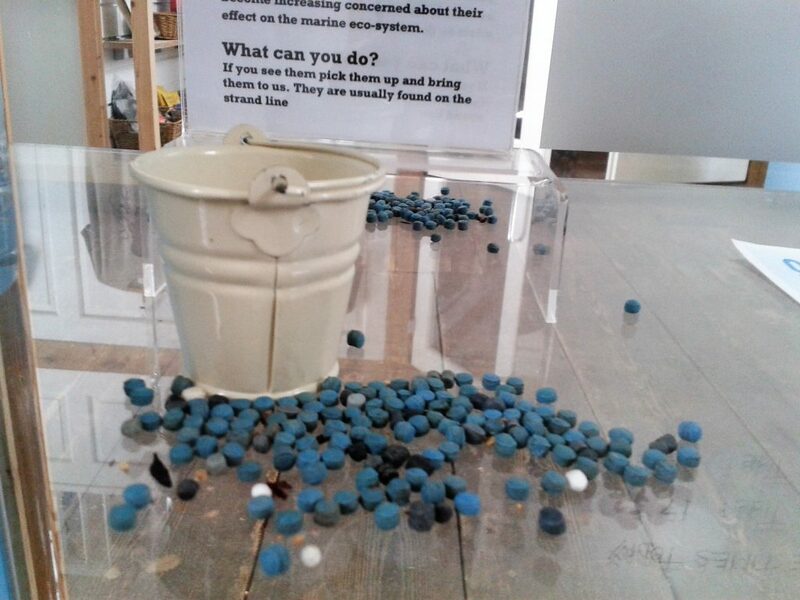 The centre is free to enter but it is a charity and relies on donations to keep it going. It will be open this year until October, every Tuesday to Sunday between 11am and 4pm. If you want to visit the West Bay Discovery Centre but haven’t yet booked accommodation, then we’d love to welcome you to West Bay Cottage. Take a look inside the cottage here if you wish. Head to our Book With Us page for availability, the rates and how to book. Another quick visit to the cottage last week. Lucky for me to be able to visit in midsummer with such sunny weather. It felt a little too hot for one of my tasks though… steam cleaning the stone floor. On my last visit I planted some annuals in the back garden to add a bit of colour. I was keen to see how they were doing. Oh dear, they were all shrivelled and the only colour they were adding was brown! Victims of the amazing weather we’ve had so far this summer. Let’s hope it continues into the school holidays. I went for a wander around the harbour early evening. There was a holiday atmosphere about the place. This was perhaps helped by the fact that England had already qualified for the next round of the World Cup so we didn’t have to agonise over the final group match! 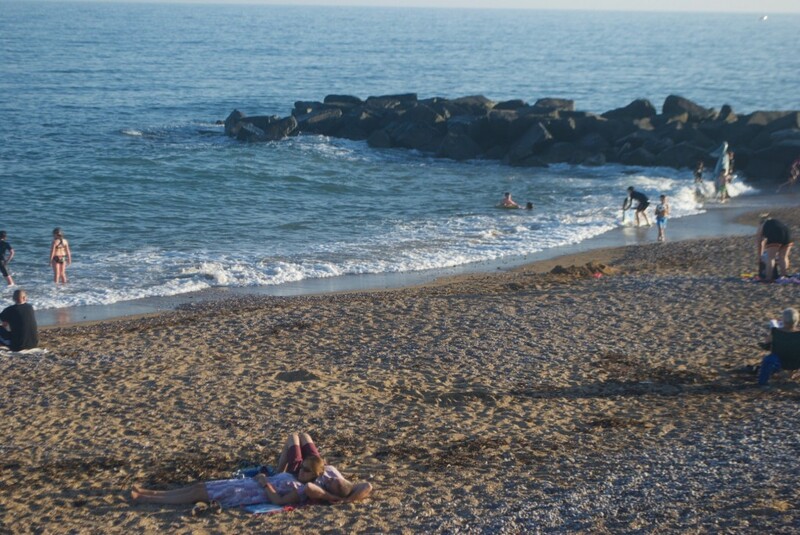 It was so warm that people were still in the sea. Of course the water wasn’t warm when I dipped my toe in (frankly it was cold). My other photo here (below) is of my favourite house by the harbour. Look at the lookout and the weather vane on the roof, and the ship’s wheel on the front. It makes me think of the film Mary Poppins. We just need an old admiral character firing a cannon twice a day!